URANUS in astrology represents the urge for awakening – for the intense excitement and freedom of constantly changing perceptions and experiences. Wherever URANUS is found in your chart you will desire to be totally free and insist on being your own person, without restrictions. You will not buckle under to social constructs or authoritarian ideals in the area ruled by URANUS because following a ‘different drummer’ is what keeps you excited about life. While you need to allow yourself the freedom to be your own person, you will learn that to be different just for ‘shock value’ does not serve you. You will be more satisfied with your life if you keep in mind the bigger picture and allow your uniqueness to shine in a way that benefits others. The Sign where your Uranus is located shows that area of your life in which you instinctively feel a sense of rebellion. Because Uranus spends about 7 years in a sign this is also a generational influence, so your peers are simultaneously experiencing this energy. For example, those with Uranus is in Gemini may have different ways of communicating their ideas that don’t fit within mainstream society. Many of the musical giants that emerged during the 60s communicated their poetry though music rather than in writing. The generation with Uranus in Libra will have different ideas about marriage, and those born in the group with Uranus in Capricorn (those born 1988-1996) will have unique approaches to doing business and running their organizations. As they mature, these natives will also be presenting unique ways of governing. It is the House that Uranus occupies in your birth chart that sets you apart from your peers. It shows the sphere in which you simply insist on being unorthodox. For example, if Uranus is in your 9th House, your spiritual beliefs and religious convictions will not be mainstream. They emerge from your own inner sense of ‘Truth’ and what your Guides and Angels (9th House) have shown you since you were a child. You trust your intuition (9th House) to lead you to the Truth. 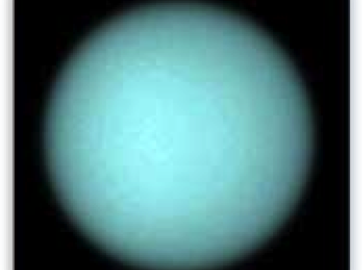 If Uranus is in your 1st House, you trust your instincts to guide you. 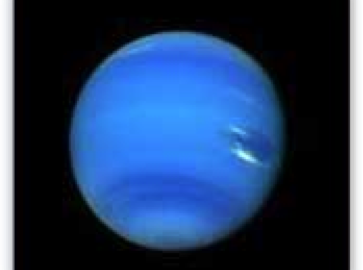 You are also likely to have a highly magnetic (Uranus) personality (1st House) and will want to have a unique persona. If Uranus is in your 7th House, you will seek close partnerships that provide stimulation – a chance to awaken and feel alive – and your ideas about marriage will not be mainstream. If you do not know the Sign and House position of Uranus when you were born, click here for a free copy of your natal birth chart. awakening, innovation, sudden change, the unexpected, enlightenment, desire for vitality, intuition, inventions, scientific approaches, astrology, electricity, advancement, oriented toward the future, eccentricity, need for stimulation and excitement, uniqueness, freedom, impersonal perceptions, genius, revolutionary ideas, and unpredictability. 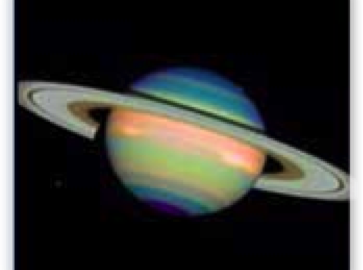 The CHALLENGE of URANUS is to be comfortable being “different”, and to become more aware of – and open to – objective perceptions, especially in the area of your life ruled by Uranus. Learn to seek experiences of vitality and excitement in ways that have a constructive purpose and are not erratic, shocking or disruptive. The GOAL of URANUS is enlightenment – the opening of your mind to the realization that the movie we call life is impersonal. Reality stands apart from the mind, the body, and the subjective emotions engendered by the movie. URANUS’ POWER AND INFLUENCE in your life can be enhanced with the stones Tanzanite, Lapis, Azurite, Topaz, and Zincite. JUPITER in astrology represents the urge to expand and grow … to resolve the uncertainties of life by connecting with faith in a higher power. The location of JUPITER in your chart indicates areas of your life where you will experience good luck, worldly abundance, and special protection which comes from ‘higher forces’. 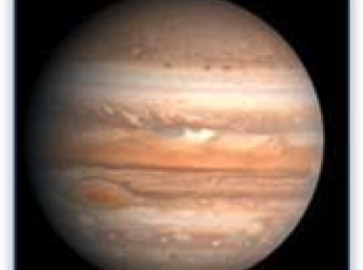 In Astrology, the planet Jupiter is called The Great Benefic, and it shows those spheres of daily living in which you naturally feel lucky, expansive and generous. To find the position of your Jupiter, click here. The Sign your Jupiter is in will show the area of life in which you feel very comfortable and competent. For example, if your Jupiter is in Virgo, you will naturally feel comfortable when engaged in work projects or challenges– the idea of hard work doesn’t intimidate you. With Jupiter in Libra, you feels a natural competence in marriage and partnerships. And Jupiter in Capricorn feels totally comfortable with business and in reaching professional goals. The House location of your Jupiter shows the specific domain where your Angels are always looking out for you, protecting you, and bringing you good luck. If your Jupiter is in the 4th House, you will have good luck in things ruled by the 4th House, especially home, family, and real estate. If your Jupiter is in the 2nd House, you will always have good money karma; somehow the money always shows up when you really need it. With Jupiter in the 12th House, your psyche is strong and you somehow manage to escape from dangerous situations that may have been caused inadvertently due to your naivety. On a deeper level, the way you tend to approach life in the areas ruled by JUPITER is inherently healthy and correct, so you attract positive results and abundance. For example, if your Jupiter is in the 2nd House you are naturally lucky with money because you are inherently generous and trust that life will take care of you. Your beliefs and behaviors open you to abundance. Expansion, personal growth, faith in positive outcomes, good luck, invisible protection, morality, generosity, gratitude, abundance, freedom, truth, wisdom, man-made laws (society, religion), the higher mind, higher education, solutions, largeness, optimism, hope, cheerfulness, spiritual seeking, engaging in excess, and grandiosity. The CHALLENGE of JUPITER is to not indulge in excess or be careless, but to remain modest, sensible and grateful even in the midst of good luck and easy success. In this way you remain open to having more abundance flow into your life. For example, with Jupiter in the 2nd House you may have a tendency to be careless with money. This can lead to not having the financial abundance that is one’s birthright. The GOAL of JUPITER is understanding and trusting that, regardless of events, a higher power is working out a plan that will ultimately be in your best interest. Jupiter rules growth, and if you are willing to cooperate with circumstances and grow on a personal level to overcome adversity, you will realize your highest potential. Jupiter also represents the Spiritual Path– the quest for peace of mind and self-realization. JUPITER’S POWER AND INFLUENCE in your life can be enhanced with the metal Tin and the stones Turquoise, Amber, Citrine, Zircon, and Amethyst. MARS in astrology represents the urge for action and conquest – to go after what we want and obtain it though our own efforts. Wherever MARS is found in your birth chart will show your style of self-assertion, what makes you angry or defensive, the way you take the initiative, how you enjoy spending your energy, as well as your sexual style. The Sign where your Mars is located shows your style of initiating activities with others. For example, if your Mars is in Virgo, you will likely come up with a plan for action. If you have Mars in Leo, you will probably present your ideas to others with enthusiasm and a feeling of fun that they are likely to go along with. Mars in Gemini will show the logic of going in a desired direction and want to engage in a conversation before setting course. If the location of Mars in one person’s chart is in the same Sign as another person’s Venus, it is an aphrodisiac for both of them! Even in business this is a good combination, since when one person initiates a plan of action (Mars) the other person is naturally receptive (Venus). This is also true of other harmonious aspects between the two planets. 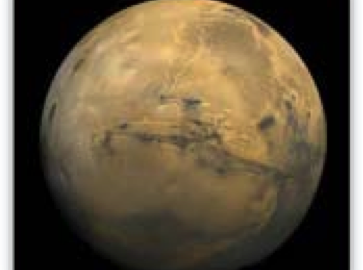 If you do not know the location of your Mars, click here for a free copy of your birth chart. The House where your Mars is located shows what it is in life that most motivates you. These are the activities that spur you to energetic action! Mars is raw energy. If you need more energy, spend time in activities shown by the House where your Mars is located. For example, if Mars is in your 5th House, children and creative projects energize you to take action and create results. With Mars in your 2nd House, it will be money that motivates you to take a risk and initiate action. If your Mars is located in the 6th House, the idea of “getting the job done” spurs you to action! Conversely, if your Mars is located in the 12th House, you are motivated by your own personal vision or private dream. If you feel that doing something is ‘Right Action’ you will move forward with lots of energy and ambition. initiation, courage, assertion, aggression, action, physical energy, sexual energy and style, carelessness, rash behavior, anger, motion, physical exercise, activity, motives, courage, force, competitiveness, combativeness, warrior energy, strength, impatience, instincts, survival, actualizing one’s destiny, athletics, and the drive to succeed. The CHALLENGE of MARS is to become conscious of the energy of Mars in your life and choose not to use it in ways that are debilitating – through aggression, anger, violence or lust. By purifying this raw energy, it can be harnessed and channeled into the constructive purposes of your choosing. The GOAL of MARS is to successfully direct your energy toward attaining whatever it is that you personally value. MARS’ POWER AND INFLUENCE in your life can be enhanced with the metal Iron, and the stones Bloodstone, Red Garnet, and Jasper. VENUS in astrology represents the urge to fall in love, to experience pleasure, to accumulate, to be popular and to experience the satisfaction of attraction and fulfillment on a personal level. The placement of VENUS in your chart will show what inspires the experience of love in your heart, your style of romance, the type of environment you need in order to access your loving feelings, and the way you express your love to others. Because VENUS rules love and money, its location also discloses your basic approach to financial matters. The way VENUS relates to the other planets in your chart shows your natural tendencies to create and experience success – or disappointment – in love relationships. The Sign where your Venus is located shows your style in affairs of the heart! For example, if your Venus is in the Sign of Pisces, you like a quiet, gentle atmosphere with candles and lots of romance. With Venus in Sagittarius, you prefer an outdoor adventure, and when your partner gives you plenty of freedom you feel loved and will love them in return. The Sign Venus occupies also determines your taste about what is pleasing on a sensual level. For example, when decorating, if your Venus is in Aries you probably prefer a simple, non-cluttered style. And if your Venus is in Cancer, you may like lots of ‘chotskys’ and other sentimental reminders in your environment. 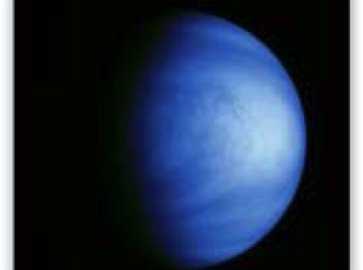 If your partner’s Venus is compatible with yours, it will be easy to decorate your home. If not, there will have to be some give and take in order to create harmony and happiness. One resolution would be to have ‘your room’ decorated exactly to your tastes, and another room totally suited to the tastes of your partner. The House in which your Venus is located shows the domain where you need to spend time in order to have the deepest experience of love. For example, if your Venus is in the 9th House, you need to spend time in nature – a walk in the woods or a park – to feel the emotion of love the most deeply. Ironically, if your Venus is in the 12th House, you need to spend time alone to feel the love of The Infinite pouring into you to help you feel whole and complete and loved to your core. Then you can enjoy the pleasure of sharing love in other areas of your life. loving and being loved, expressing affection, relationships, social skills, romance, falling in love, beauty (vanity), attractiveness, harmony, cooperation, values, gifts, pleasing others, sharing, gentleness, soothing and being soothed, receptivity, sensory pleasure, money, accumulation, attachment, personal taste, appreciation and devotion. The CHALLENGE of VENUS is to not lose yourself in the pursuit of love or money – establish a healthy balance in your life. The GOAL of VENUS is to allow yourself the enjoyment of loving and being loved in return, and to expand your ability to experience love and pleasure in healthy and consistent ways. This includes deliberately spending time in activities indicated by the House in which your Venus is located. If you do not have this information, click here for a free natal chart. VENUS’ POWER AND INFLUENCE in your life can be enhanced with the metal Copper, and the stones Rose Quartz, Emerald, Tourmaline, and Malachite. Where MERCURY is found in your chart indicates the way a person’s mind works, the kinds of things they think about, what stimulates their thinking, and how they communicate their thoughts to others. Understanding the style in which another person expresses their ideas can help you to communicate with them more effectively. For example, if someone’s Mercury is in the Sign of Scorpio, they will be looking behind the other person’s words to see what is motivating them. As they exercise their natural powers of investigation, they enjoy playing detective in various situations in their life. If their Mercury is in Gemini, they are the perpetual student, interested in learning new information and passing it on to others. They need a lot of mental stimulation to keep them from becoming bored, and naturally gravitate to books and other mental outlets. 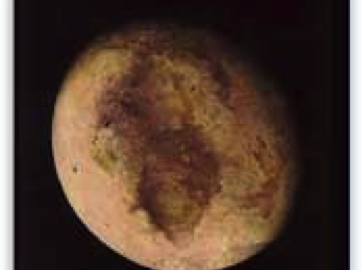 Mercury in Cancer thinks a lot about home, family, and security, and their thinking has an emotional overtone. Mercury in Virgo is constantly analyzing what is happening in their world in an attempt to ‘connect the dots’ or put the pieces of the puzzle together. If someone’s Mercury is in Taurus, they like to think about money and other things that evoke feelings of comfort and stability. If a person’s Mercury is in Leo, they are going to be a bit dramatic in sharing their thoughts, but it doesn’t mean they aren’t open to other ways of looking at things. With Mercury in Aquarius, the person is going to seem like they already ‘know everything.’ However, they are innately curious and would be open to an idea that could give them a bigger picture of the situation. The House in which your Mercury is located shows that aspect of life which stimulates your thoughts to the greatest degree and that you most enjoy thinking about. For instance, if your Mercury is in the 8th House, you are stimulated by seeking the deeper mysteries of life, finding out what makes people tick, and delving behind the superficial appearance of things. Psychology is a natural field for you. If your Mercury resides in the 7th House, one-to-one interactions most stimulate your thinking. With your Mercury in the 11th House, working to further a humanitarian cause best vitalizes your thinking, and your friends also help stimulate your mind. If your Mercury has a 12th House placement, spending time alone clarifies your thinking and subtle subconscious forces give you new ideas for resolving situations in your life. If you do not yet know the Sign and House position of your Mercury, click here and a free chart will be provided for you. thoughts, connections, communication, writing, talking, messages, information, logic, reasoning, personal viewpoint, personal filtering of information, books, learning/teaching, wit, the conscious mind, the ability to learn, mentally interpreting the five senses, integration and mental agility. Mercury is The Mind. The CHALLENGE of MERCURY is to suspend judgment and openly listen to others’ perspectives, rather than just repeating your own ideas to gain acceptance and validation. By listening, accepting the other person’s point of view as true for them, and then communicating your thoughts, an authentic mental connection can be experienced and enjoyed. 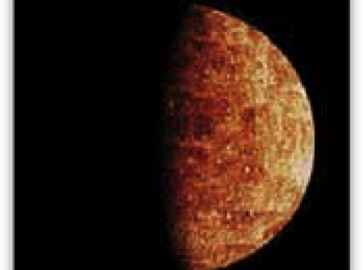 The GOAL of MERCURY is to use the mind as a tool for understanding and connecting with others. By understanding the other person’s way of viewing things, you can form a bond with each person through which you can establish rapport and experience mutual support. MERCURY’S POWER AND INFLUENCE in your life can be enhanced with the metals Brass and Bronze, and the stones Sapphire, Tourmaline, Hematite, and Amethyst. The SUN in astrology represents the urge to BE YOURSELF – the desire to express creativity and leadership through your own special style in the areas that add vitality to your life. Wherever the SUN is found in your chart, you will feel naturally creative, alive and vibrant! In this sphere of life you will feel playful and powerful, and have the innate, childlike ability to shine and be yourself. The Sun also shows where you want to be recognized for your natural gifts and talents. The Sign your Sun is in shows an area of life where you instinctively feel confident; your basic life force and the style in which you express yourself. For example, if your Sun is in Aries you will simply be who you are and feel you have nothing to hide. If your Sun is in Scorpio, you will tend to hold back at first, analyze the situation, and then contribute those parts of yourself allow you to maintain your integrity and sense of personal power. The House where your Sun is located shows what aspect of life most stimulates your vitality and brings out your leadership qualities the place where you really shine! For example, if your Sun is in the 11th House, working for higher ideals that will benefit humankind energizes you. Working to further a cause you believe in stimulates the creative powers of your Sun sign and helps bring them into expression. Friends (11th House) are also important for your happiness. If your Sun is located in the 8th House, business partnerships vitalize you, enhance your creative urges, and prompt you to take a leadership role. Close connections – either a Soul Mate marriage partner or business partner – where you have invested equal resources with the other person, are important for your happiness. To discover the Sign and House position of The Sun in your birth chart click here. power, recognition, strength, confidence, pride, natural authority, creative male energy, the father, leadership, inborn talents, natural expression, generosity, popularity, creative passion, radiance, vitality, powers of self-expression, life purpose, and unique contributions to others. The CHALLENGE of the SUN is to use your God-given gift of power wisely and not just as a tool for getting what you want. Consciously expand beyond the desire for recognition of your personal power into using that power to share your light with others. Then, as you contribute your talents to others, you will find that life will contribute back to you. The GOAL of the SUN is to simply shine and be your radiant self. Through the process of using your special talents to contribute to others, you enhance their lives and validate your own inherent power. THE SUN’S POWER AND INFLUENCE in your life can be enhanced with the metal Gold, and the stones Diamond, Lapis Lazuli, Quartz, Amber, Peridot, and Heliodor.